A new ad campaign for the upcoming Peppa Pig movie features a grandfather living in rural China who goes on a quest to find out what Peppa is. 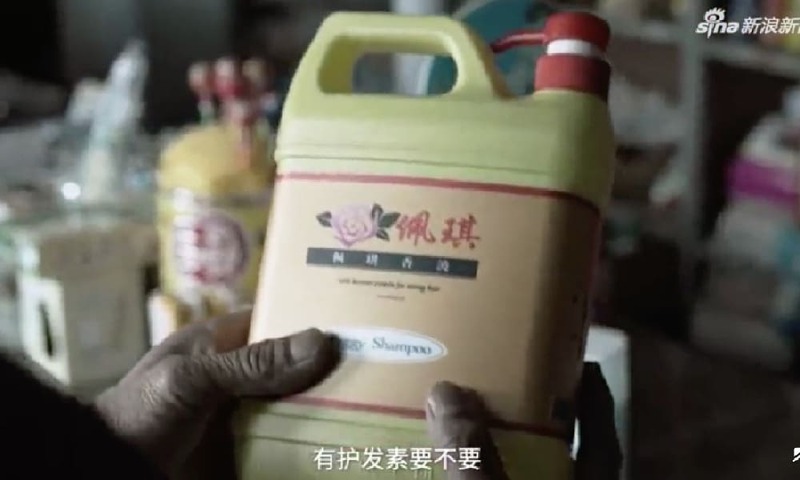 The commercial is a huge success on Chinese social media, and strikes a chord with netizens for touching upon various societal and cultural issues. Peppa is more Chinese than ever now. “What is Peppa?” That is the question that is currently going viral on Chinese social media, with the hashtag #WhatisPeppa (#啥是佩奇#) receiving a staggering 400 million times on social media platform Weibo at time of writing. 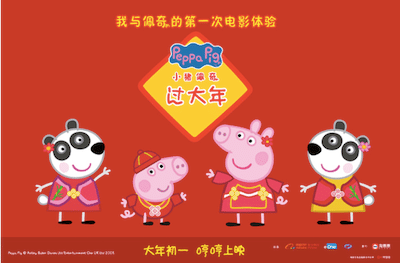 The reason for the trend is an ad campaign, titled ‘What’s Peppa’, promoting the Peppa Pig Celebrates Chinese New Year film, a production by Entertainment One and China’s Alibaba Pictures. 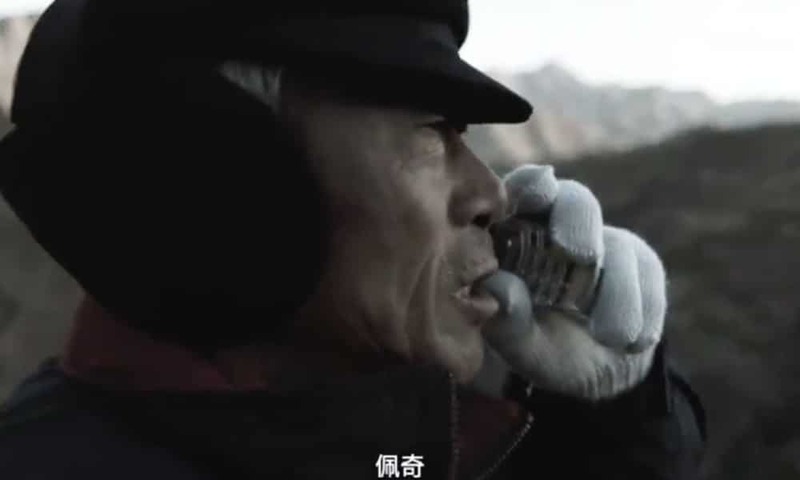 The promotional video (5:39 length, watch featured video), that came out via various online channels on January 17, focuses on a grandfather living in a remote rural village who is anticipating the Spring Festival reunion with his son and his family, who now live in a big city. The grandfather, named Yu Bao, wants to know what gift to get for his little grandson. When calling his family on a bad connection through his old 2G mobile phone, the word “Peppa” is all he gets from his little grandson before his phone breaks down. But what’s Peppa? Yu Bao then goes on a comical mission to find out what Peppa is: looking it up in the dictionary, asking his friends -who are just as oblivious as he is-, and asking the entire village. At the local shop, it is suggested that ‘Peppa’ is some kind of shampoo. Eventually, one of the female villagers, who used to be a nanny, knows what Peppa is. She tries to explain it to Yu Bao, who now even seems willing to paint his own pig pink for his grandson. She explains that it is a pink cartoon pig whose face looks somewhat like a traditional fire blower. 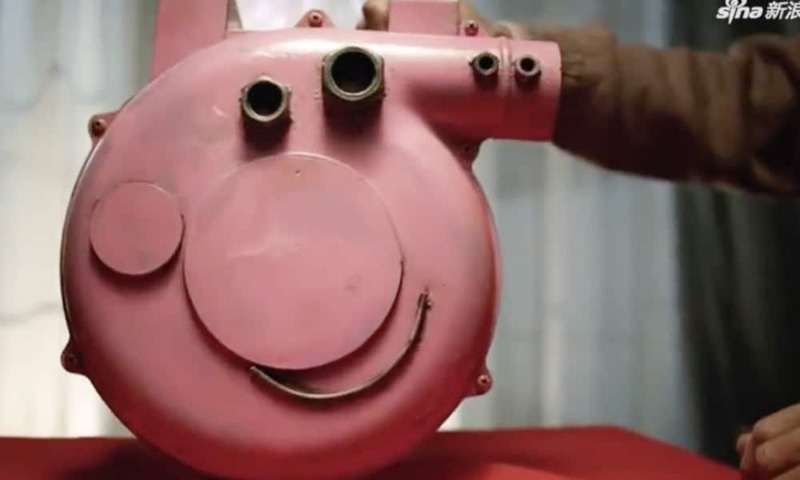 With some guidance, the grandfather then goes to work and creates a unique ‘Peppa Pig’ gift from a metal air-blower to surprise his grandson during Chinese New Year. 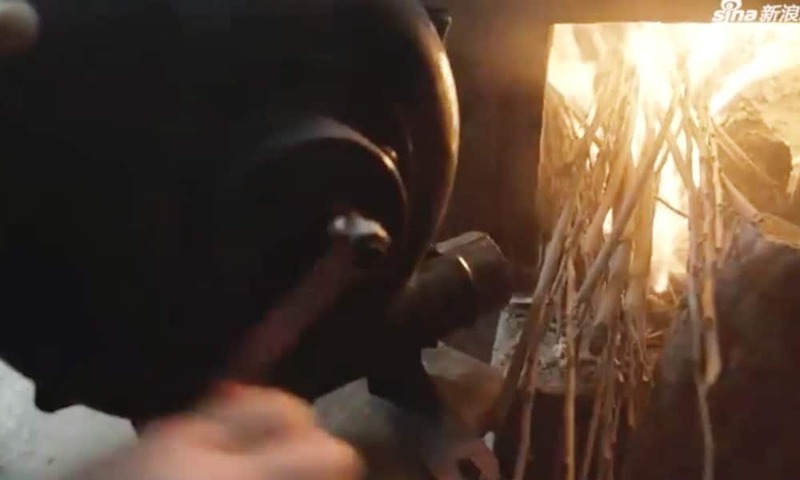 But much to his disappointment, he then receives a phone call from his son, who tells him they are not coming home for Chinese New Year – before the connection drops again. 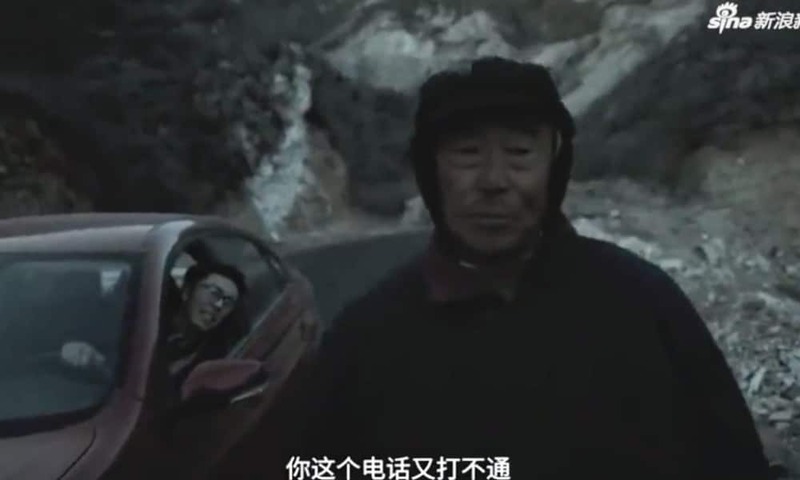 As grandpa, sad and lonely, is walking by the side of the road, his son suddenly appears in his car, telling him that the connection dropped too soon; he was not just telling him the family was not coming for Chinese New Year, he was trying to tell him that they invited him to come to their home instead. When the family is finally reunited, it is time for the proud grandfather to show the result of his difficult quest for Peppa to his grandson. The grandpa’s mission is complete: he gives his grandson a one-of-a-kind Peppa Pig. Peppa Pig is a popular children’s cartoon that first aired as a British animated television series (produced by Astley Baker Davies) in May of 2004. It took more than eleven years before the show was officially launched in the PRC (CCTV/June 2015). The Peppa Pig family, including George. Since then, Peppa Pig has become one of the most popular programs for preschoolers in China. 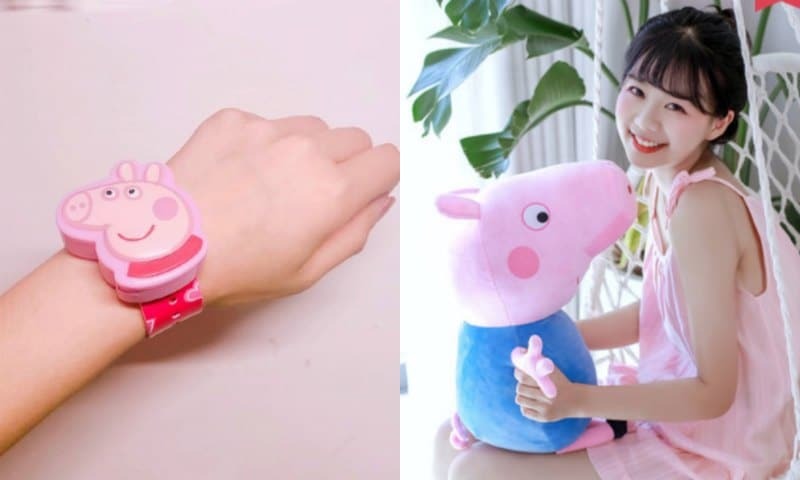 But not just preschoolers love the pig; it has also become highly popular among young adults, who wear Peppa t-shirts, Peppa watches, and are major consumers of China’s thriving Peppa industry. 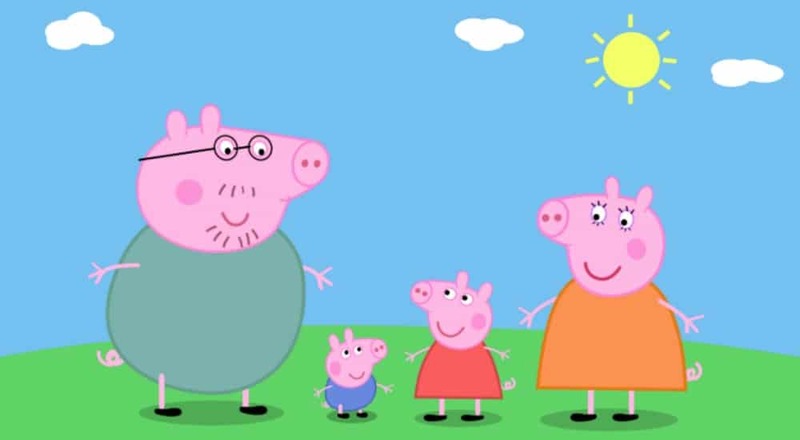 In 2018, Chinese popular short video app Douyin (also known in English as Tik Tok) removed approximately 30,000 short videos relating to British cartoon Peppa Pig from its platform, as Peppa had turned into somewhat of a subversive symbol to a Chinese online youth subculture dubbed ‘shehuiren‘ (社会人) (read more here). This news item led to some confusion in Western media, where it was often suggested that Peppa was completely banned in China. She is, in fact, not banned; she is now more popular than ever. Amid the huge success of Peppa in China, it was announced in the summer of 2018 that Chinese tech giant Alibaba was working together with Entertainment One on the release of a Peppa Pig movie especially for the Chinese market, as this year’s Chinese New Year is the start of the Year of the Pig. The movie, titled ‘Peppa Pig Celebrates New Year’ (小猪佩奇过大年), is set for a nationwide release on February 5, the first day of the Chinese Lunar New Year. This is the most popular time for big blockbusters to come out, as many people are free during Chinese New Year and have the time to go out to the cinema together with their families. The movie itself revolves around Peppa and little brother George and their parents, who are having a reunion for the Spring Festival. 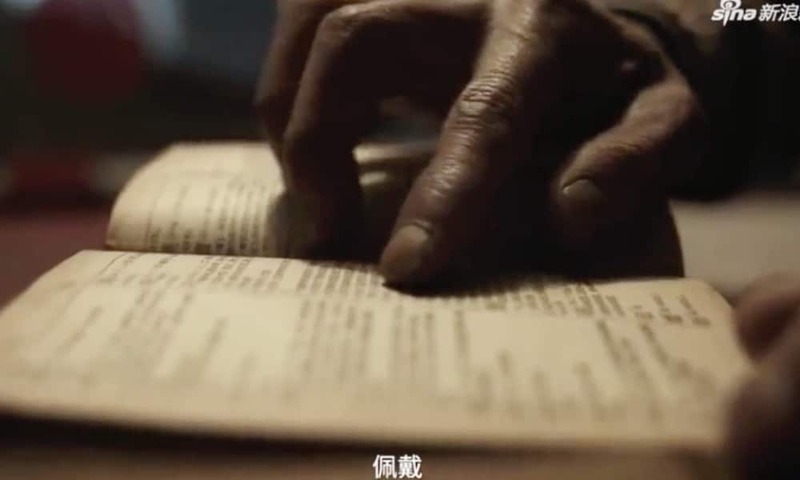 It features various Chinese traditions, and of course, something unexpected will happen. The Peppa ad has really struck a chord on Chinese social media for various reasons. 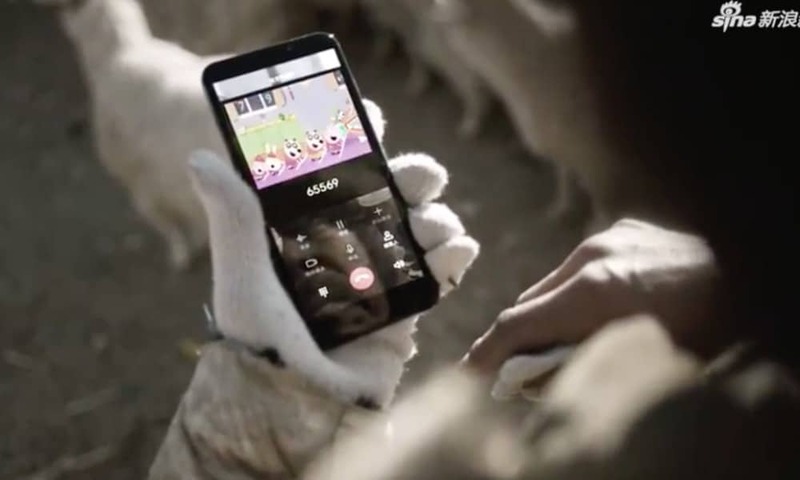 The video was directed by Beijing director Zhang Dapeng (张大鹏, 1984), who also directed the actual Peppa movie, and the campaign is also sponsored by China Mobile. – It mixes the love for Peppa with the warm feeling of Chinese family reunions during Chinese New Year. – It presents a nostalgic idea of the Chinese village community, where neighbors come together and look out for each other. 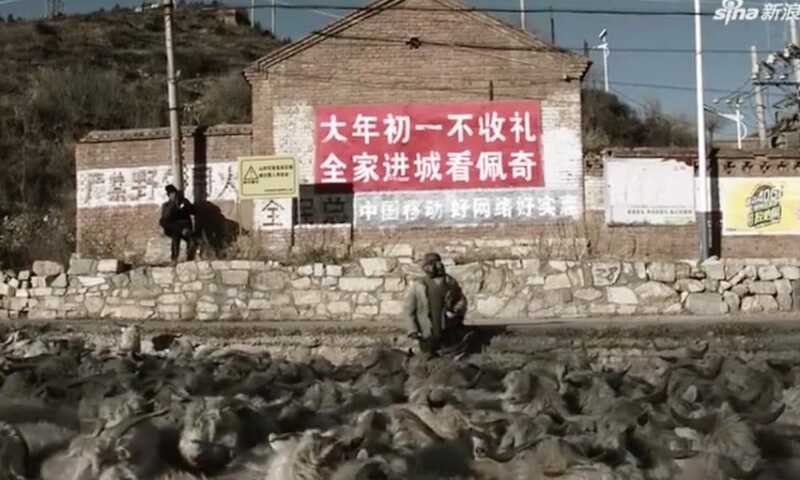 – It touches upon the issue of China’s rapid urbanization, that has caused many villages to become deserted and isolated as younger generations have settled in the cities. – It highlights how China’s digitalization is leaving behind its elderly population (read more here). 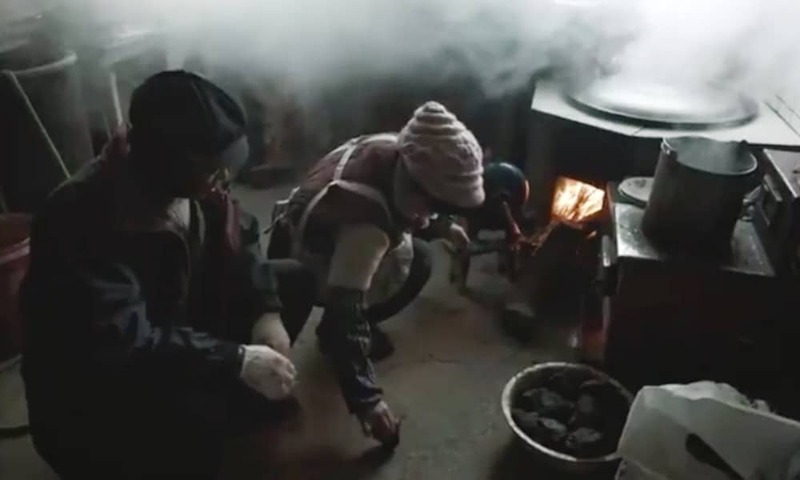 – It shows the strong grandparent–grandchild relationship; usually, Chinese grandparents play an active role in raising grandchildren, something that has been changing due to younger generations moving to the city. In other words; the advertisement completely draws the figure of Peppa Pig into a Chinese socio-cultural context, where it symbolizes the strong connection between Chinese families amid China’s rapid urbanization and digitalization. 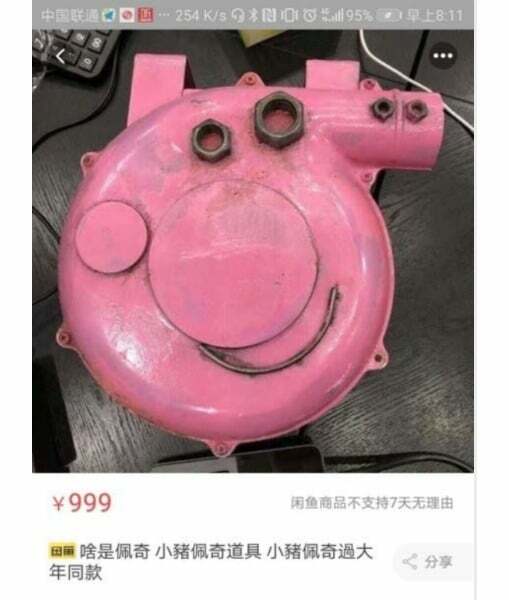 By now, the Peppa campaign is making its rounds from Weibo to WeChat and elsewhere on the Chinese internet, with some online sellers already offering a remake of the Peppa present for sale as a collector’s item. Bloomberg reports that Chinese stocks connected to Peppa Pig have surged after the clip went viral yesterday and today. Peppa was already a famous figure in China, but with this viral hit and the upcoming movie, the British pig really has become a part of China’s popular culture and media environment: it’s the Chinese new year of Peppa Pig. UPDATE (Jan 19): [Now passed one billion views] Want to understand more about this movie and its context? Check out our video here.